Provide comfort for the family of Onalee Richards with a meaningful gesture of sympathy. Onalee Elaine Richards, “Peter Pan,” 84, of Shepherdstown, passed away Tuesday, April 9, 2019 at the Willow Tree Manor. Born July 28, 1934, in Kalamazoo, Michigan, she was the daughter of the late Lynn Nichols and Arlene Elizabeth Jickling Whitmore. She was the hardworking matriarch of a large family and enjoyed life to the fullest. She had been employed as an administrative assistant with Avis Truck Rental and loved her dog Tinkerbell. She is survived by one son, Tracy Dean Richards, and wife Vicki, of Laurel, Maryland; two daughters: Debra Elaine McCarthy, and husband Walter, of Shepherdstown, and Cynthia Anne Fowler, of Summit Point; sister, Sandy Nakayama, of Granite Bay, California; 13 grandchildren; 31 great grandchildren and excitedly anticipating the arrival of #32, Baby Ava, and 2 great great grandchildren. In addition to her parents, she was preceded in death by her husband, Ronald D. Richards; two sons: Todd Duane and Lynn Wayne Richards, and two grandsons: Shane Heath and Clint Duane Victor Davis. A funeral service will be held 3 pm, Friday, April 12, 2019, at the Jefferson Chapel Funeral Home with the Pastor Shawn Coley officiating. Interment will be private. The family will receive friends one hour prior to the service. 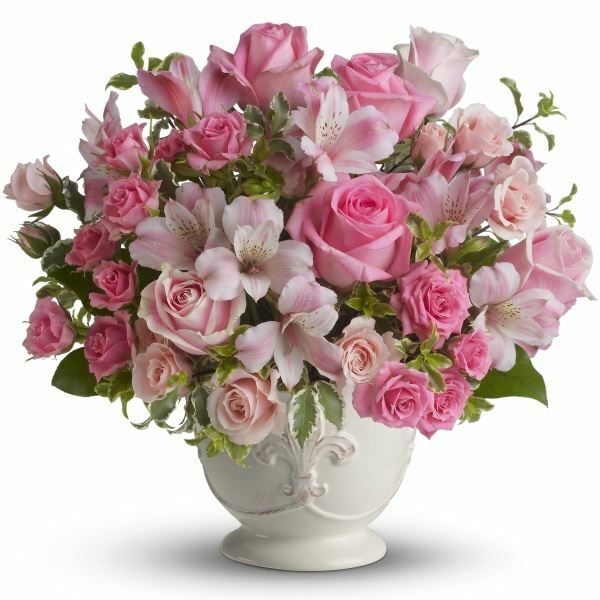 To send flowers in memory of Onalee Elaine "Peter Pan" Richards (Day), please visit our Heartfelt Sympathies Store. We encourage you to share your most beloved memories of Onalee here, so that the family and other loved ones can always see it. You can upload cherished photographs, or share your favorite stories, and can even comment on those shared by others. Kenny Fowler, Bobbie Jean Fowler & Sharon Kern sent flowers to the family of Onalee Elaine "Peter Pan" Richards (Day). Kenny Fowler, Bobbie Jean Fowler & Sharon Kern purchased flowers for the family of Onalee Richards.